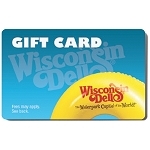 Welcome to Wisconsin Dells - "The Waterpark Capital of the World!®"
Copyright Wisconsin Dells. All Rights Reserved. eCommerce Web Hosting by 3DCart.